Should EU regulatory professionals start engaging in social media? 24 May 2013 was a sad day for pesticide makers in Europe and a great victory for environmental NGOs. 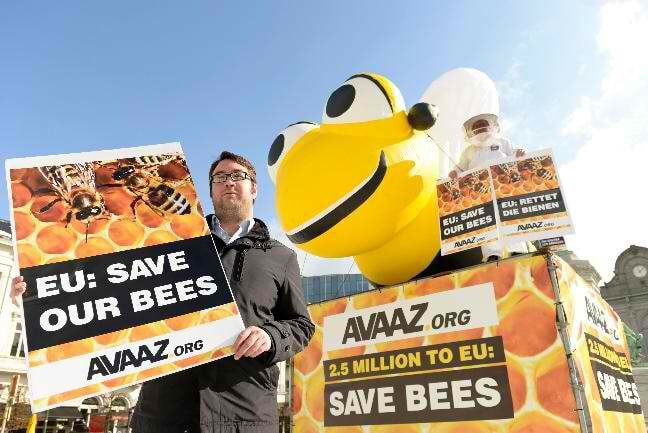 It was on that day that DG SANCO of the European Commission passed an implementing regulation aimed at reducing and stopping the bee population’s decline, alleged to be caused in large part by pesticides containing so-called neonicotinoids. This decision, adopted through what used to be called ‘comitology’, formally on the basis of a European Food Safety Authority (EFSA) study, did not come from nowhere: for years, hundreds of websites, videos, blog posts and comments have been written on “how pesticides are killing the bee population”. At the end of 2012, early 2013 this effort reached a whole new level: consider that a simple Youtube video, in which an activist woman talks about the relationship between neonicotinoids and bees, has attracted over 67,000 views (contrast that with the few videos produced by industry or farmers’ association who rely on this pesticide, viewed by a few hundred people). Look at the results on Google when you search for “neonicotinoids”: you will have a hard time finding results that do not advocate the ban of this substance. And the most stunning of all: Avaaz.org, an activist website, has collected 2.6 million (!) signatures from all over Europe and the wider world in favour of the ban. For those who dismiss these numbers as having no impact, consider the Austrian minister for agriculture, who, after his initial vote against the ban, was flooded by some 8000 emails to change his mind. The bee issue, however, is not an isolated case. Enough to think of ACTA, the anti-counterfeiting trade agreement, which was voted down by the European Parliament in 2012 as a result of a massive online campaign. Or consider the ban on Bisphenol-A baby bottles, or the recent European Citizens’ Initiative on ending roaming prices in the EU telecom market. One thing is common in all of these cases: they were organised mostly online, and gained massive support via social networks. There has been a lot of hype surrounding social media in European affairs. A recent Burson-Marsteller study found that only 7% of respondents considered social networks be of use for making informed decisions on their work, while almost every second respondent (47%) said that they find no value in social media when it comes to EU decision-making. At the same time, many regulatory professionals, private companies and EU officials feel that social media, and more generally, online tools are gaining ground in lobbying. So what is happening here? To understand the problem, we need to distinguish between ‘high politics’, referring to strategic and/or high-level political questions (such as the next European Parliament elections in 2014, the UK’s place and future in the European Union, or who the next European Commission President will be), and “technical issues” that include approving a new pharmaceutical product, lowering noise pollution levels, or granting a licence to a food additive. EU aficionados have been discussing high politics on major social media platforms, such as LinkedIn, Twitter, and Youtube with great intellectual pleasure, usually reflecting or complementing debates in mainstream media. If we try to dig deeper into the findings of the Burson-Marsteller study, it is likely that policy-makers and stakeholders had these topics in mind when dismissing social media’s relevance in daily EU affairs. On the other hand, there is a new trend that has largely been overlooked by stakeholders: the emergence of campaigns that are not only leveraging the best of social media, i.e. its virality, but use it to advocate on technical (a.k.a. regulatory) issues and successfully influence policy makers. We are witnessing a new phenomenon where online tools, and especially the mobilising force of social media is no longer restricted to high politics or pure monitoring of EU events, but it is entering the realm of regulatory issues, from pesticides to intellectual property, where policy makers, both on national and EU level, are keen (and sometimes forced) to listen to the public. As they now hear the voice of the most vocal ones, time for all stakeholders to respond to this new reality and join the online discussion.